The Swiss-born eclectic jazz vocalist Gabriela Martina will team with Ukrainian born pianist Maxim Lubarsky as a duo performing material they will have rehearsed together as well as improvisation they will create on the spot. Gabriela Martina is a stunning accomplished and versatile jazz vocalist/composer who can sing in four languages and is currently performing with various groups up and down the East Coast. She co-founded the In Momentum concerts which, like Boiler House Jazz. paired duos who rarely, if ever, performed as a duo, in an improvisational format. She is also a social activist who is passionate about learning about other cultures, helping to develop a sense of community, and fighting inequality and racism. Maxim Lubarsky, a native of Odessa Ukraine, is a pianist, arranger, and composer with a rare spectrum of talent and virtuosity. He is equally comfortable performing jazz, classical, and music of Latin America. Maxim came to the Boston area in 2001 to study jazz at the Berklee School of Music where he studied with such renowned musicians as Joanne Brackeen, Danilo Perez, and Joe Lovano. He has been involved in numerous projects and recordings. He leads his own group and also performs as a member of Gabriela Martina's group as well as the Macayu Trio with flutist Yulia Musayelyan, and cellist Catherine Bent. 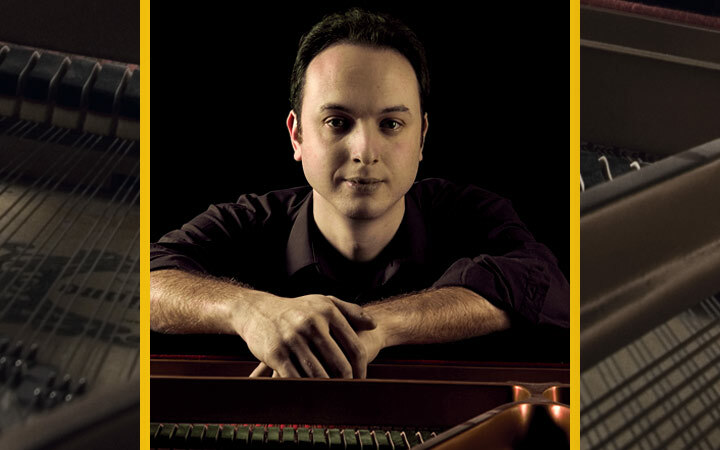 He has performed at festivals throughout the world and also has led master classes in China, South Africa, and Russia.